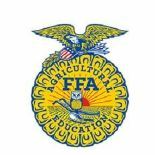 BLUE RIDGE, Ga. – The Future Farmers of America (FFA) Alumni chapter of Fannin County is in need of adult booster members. Anyone who has an interest in promoting agriculture for high school and middle school-aged students can join. Yearly dues are $15. The next meeting will be Feb. 20 at 6 p.m. in the agriculture room (129). The Fannin County FFA Alumni supports students at Fannin County Middle and High School by offering financial assistance to students for FFA and leadership trips, offering scholarships, and helping raise money for the chapter to purchase items in need. In the past five years, the alumni raised enough money to purchase a livestock trailer and an enclosed cargo trailer. To promote the personal development of Georgia FFA members through our support of the Georgia FFA. If you need more information, contact agriculture FFA Alumni advisers Rhonda Mathews and Cherie White at 706-635-2180, extension 129.